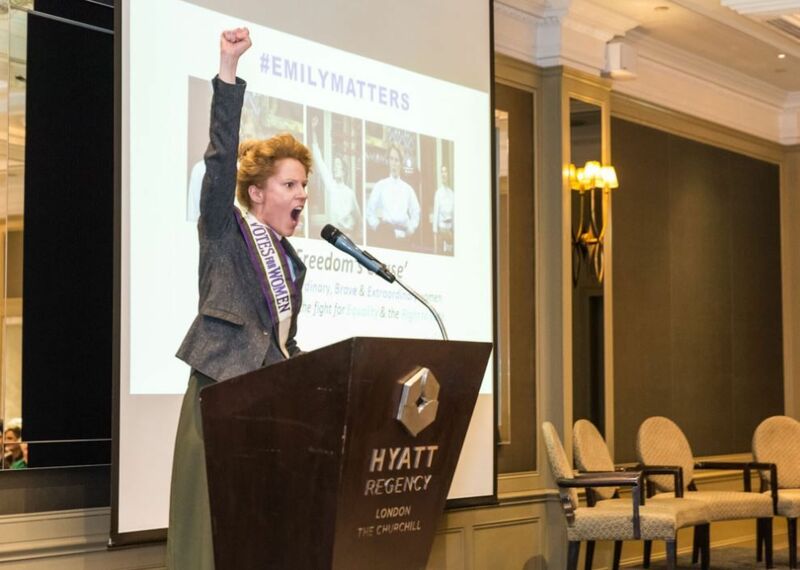 #Emilymatters – Be the first to know! Courage Calls for a People’s Vote! Join our Suffragette & Day of the Girl celebrations! Through drama and creativity we help empower young people to use their voice and be heard. 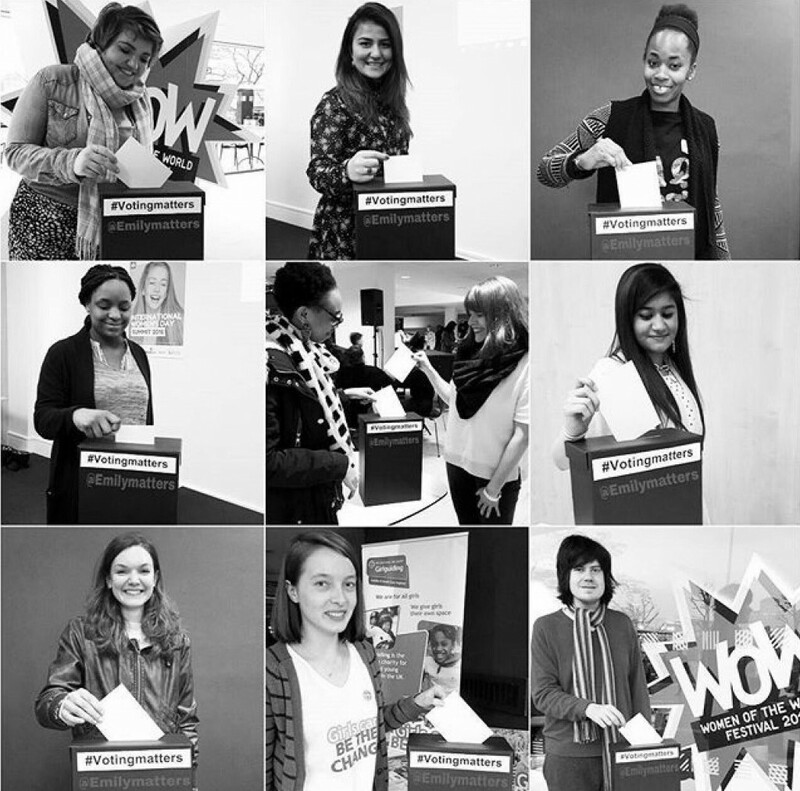 We offer a range of creative and campaign based work, related to equality and voting matters, which cover the #Vote100 anniversary year, local elections, International Women’s Day and International Day of the Girl. 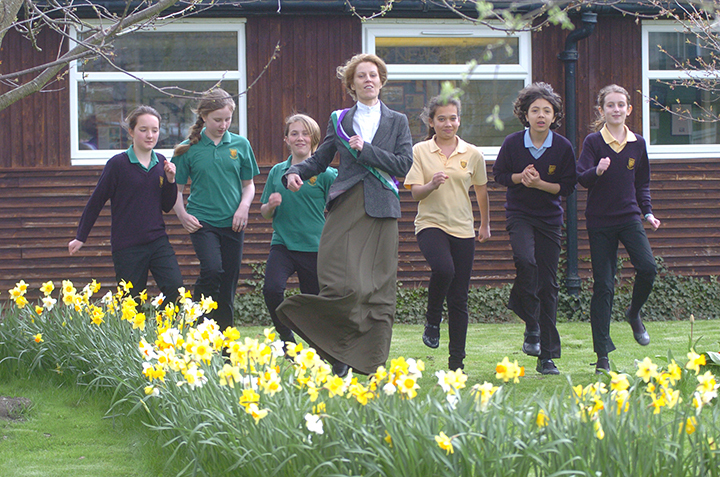 Our extensive range of outreach projects include performances of suffragette Emily Davison’s keynote speech (drawn from her writings), workshops, talks and a theatre production of To Freedom’s Cause, (about Emily and some of the lesser known working class women who campaigned for equality and the right to vote). In addition, we can deliver bespoke material for organisations, councils and grassroots groups. Please do get in touch to find out more. The empowering story of Ordinary women, Brave women, Extraordinary women. 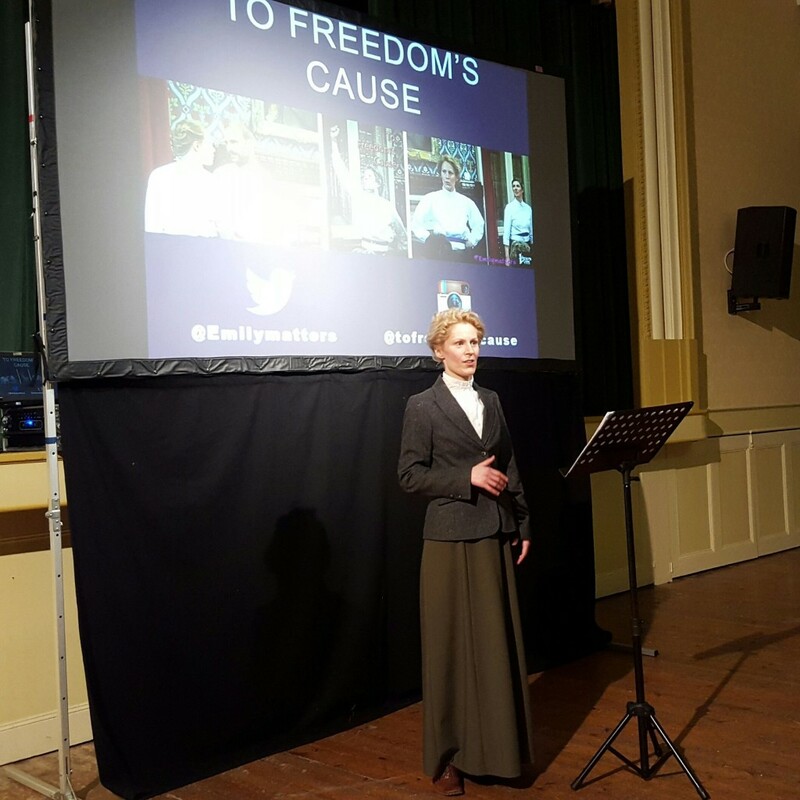 A new version of To Freedom’s Cause for 2018 explores the struggle and solidarity of Emily and her brave band of sister suffragettes, with an inspiring call to action for a new generation. We are currently working with partners on a very special project for the autumn and we would love you to be a part of it! To find out more, contact us. To Freedom’s Cause performance at the House of Commons. Emily Davison (Kate Willoughby), Margaret Davison (Kyra Williams). Photo: Brian Astbury. 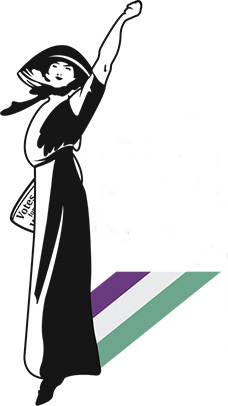 EMILY DAVISON SPEECH – A CALL TO ACTION! 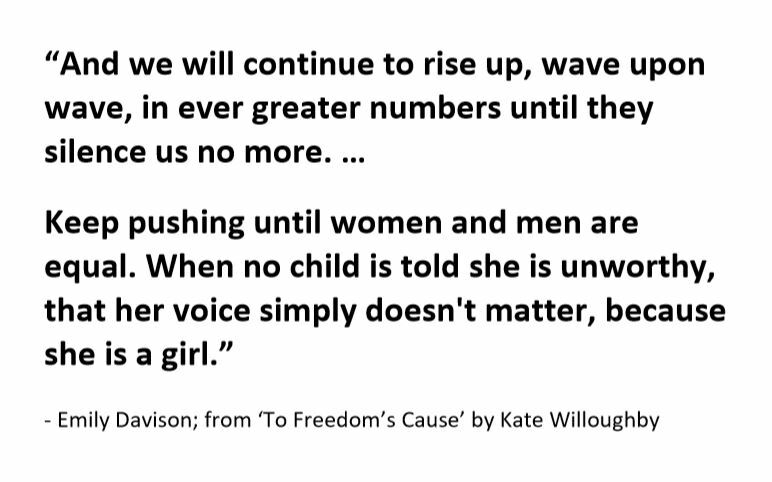 It is part of the new edit of To Freedom’s Cause and is also a stand alone speech, ideal for events relating to #Vote100, equality and the local elections. Set in 1913, Emily Davison speaks of the dedication and determination of the women who never gave up the fight for equality and the right to vote. She urges future generations, across the world, to continue to campaign for positive change. It is a very personal account, drawn from Emily’s writings. Kate Willoughby speaking at Masham Historical Society suffrage event. Photo: Kate Willoughby. Kate Willoughby, as Emily Davison at the FIWAL 2018 Conference. Photo: Stephanie Cheong, Studeo M Ltd. The speech can be incorporated into a talk about suffrage history or contemporary voting matters. – Laura Schapira, President of FIWAL. – Olivia Underhill, who wrote a blog in response to the speech. Drawing on the creative resources of To Freedom’s Cause and our contemporary #DearLauren ‘message to a first-time voter’ campaign, our new workshop for 2018 engages participants in the issues around universal suffrage from the suffragette struggle for the right to vote 100 years ago to today, when so many young people voluntarily disenfranchise themselves. For up to 30 participants, aged 12 and above. In addition, we offer a #ReadyToVote18 workshop, which focuses on encouraging participants to take a more active role in local and national elections, including registering to vote for this year’s Local Elections on 3rd May. Schools workshop, Morpeth. Photo: Peter McCartney, Morpeth Herald, 2013. – Teachers’ feedback from 2013 Northumberland Schools workshops (part of an Arts Council England backed tour of To Freedom’s Cause). – Ann-Marie, Barnardo’s Redbridge Leaving Care Team Volunteer . Weaving elements of To Freedom’s Cause into contemporary voting matters, through our #DearLauren message to a first time voter campaign. This impactful short performance, designed for participants aged 16 and above, was premiered as part of the inaugural Woman Up! Festival, London. 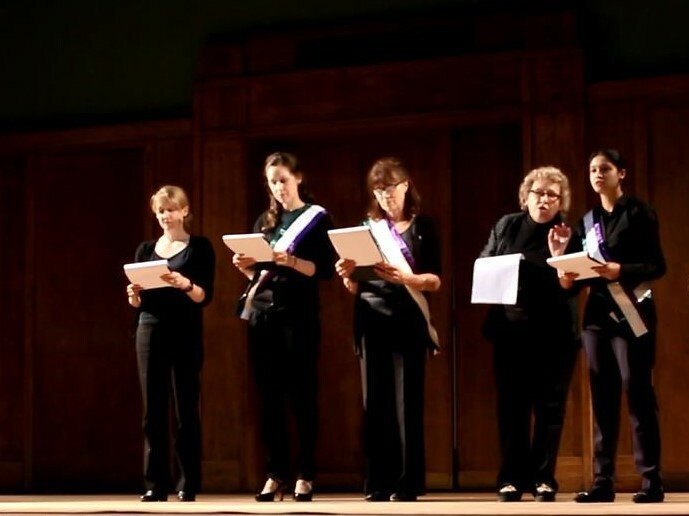 “When I decided I wanted there to be an evening performance at Woman Up, I knew it had to be by the #Emilymatters team. I was completely moved after watching To Freedom’s Cause at a previous event in Parliament. We are standing on the shoulders of giants. Remarkable women like Emily Davison, Sophia Duleep Singh and Sylvia Pankhurst are calling us to step up, vote and lead! Our work is about bringing people together. 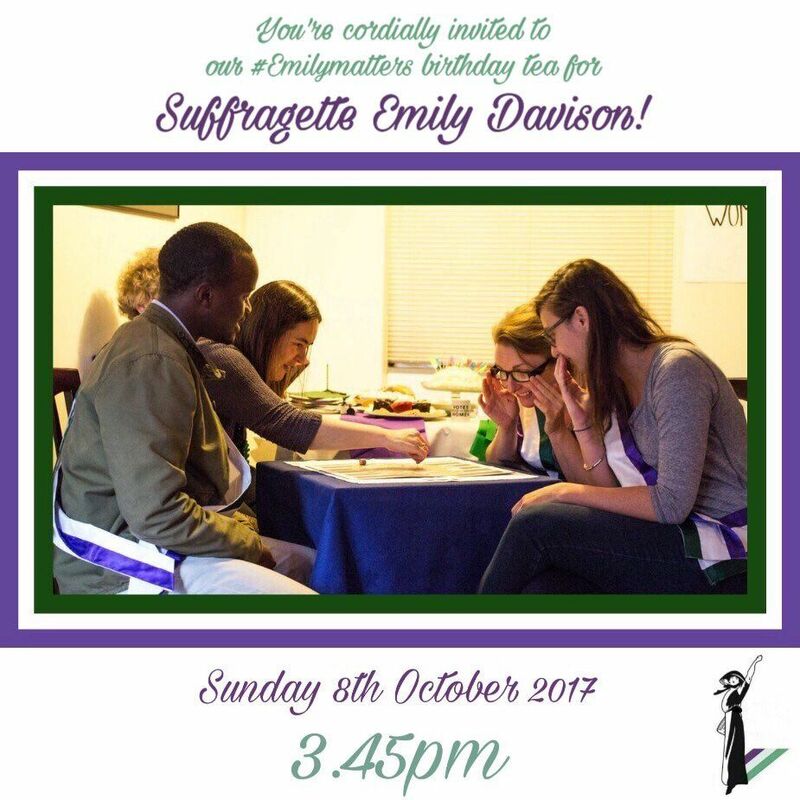 For the past few years we have celebrated Emily Davison’s birthday and International Day of the Girl with a live streamed tea party that has included playing a suffrage board game, as a means to talk about equality and voting matters, from suffrage history to the present day. We are all part of this incredible story of courage and endeavour, passing that precious torch of equality and democracy from one generation to the next. It’s our turn. Let’s do these phenomenal women proud! To find out more about what we have planned for 2018, sign up for our updates. Listening and valuing others’ contributions is very much a part of what we do. We think the quiet voices often have the most interesting things to say. Supports and advances gender equality, with a focus on voting matters. © 2019 Kate Willoughby. All rights reserved. Theme by Solostream.